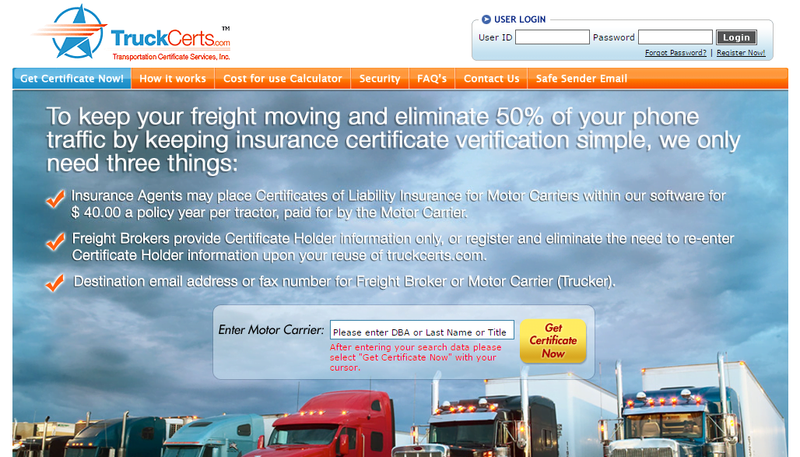 TruckCerts.com: Insurance certificates made easy ! Faxes are the name of the game when it comes down to certificates moving from agents to freight brokers. This is not only cumbersome but a very expensive process due to the wait time required and the man hours spent. TruckCerts.com has automated the complete process. Insurance agents manage their book of business online, freight brokers search and download certs in real time. This has made a 3 hr process as fast as 3 minutes. Users have given the project a fantastic welcome with the amount of interest generated surpassing all prior estimates. The portal is well on its way to huge success. This project put forth 100s of seemingly insurmountable technical challenges that the Pulse team worked through and resolved within a matter of weeks. Pulse used open source technologies to deploy the solution. Security was paramount and a guiding principle throughout the development process. The project evolved into a sharp and intuitive piece of software that can only be compared to a Victorinox ! American Awakenings, a new way to convert !